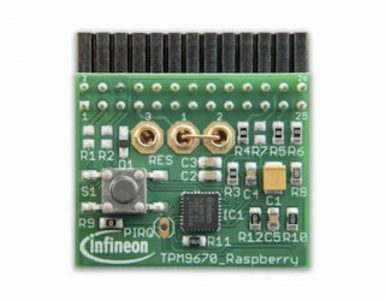 American Megatrends Inc. (AMI) Aptio(R)V Data Sheet, AMI’s UEFI BIOS Firmware with TPM 2.0 support. FULLY SECURED FIRMWARE Aptio V has native support for UEFI Secure Boot, TPM 1.2/2.0, a NIST 800-147 compliant secure firmware update, and measured BIOS support compliant with NIST 800-155. 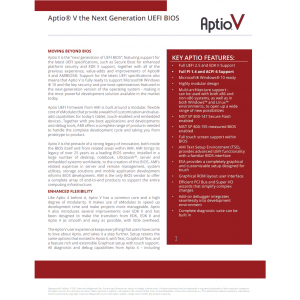 Aptio V also enables support for silicon vendor security features such as the Intel BIOS Guard, Intel Boot Guard, Intel TXT, Intel fTPM, AMD PSP and ARM TrustZone. Trusted Computing Group has not tested or validated these developer tools, software, or other materials and provides them for your use as is, with no endorsement or warranty, express or implied. Copyright © 2017 Trusted Computing Group. All Rights Reserved.